On Friday, the company added 10 more stores to their closure list including the 160,000 square foot location at 4400 S. Western. The move is part of a rapid contraction due flagging sales and revenue. Sears now operates 894 stores compared to 1,980 just five years ago. 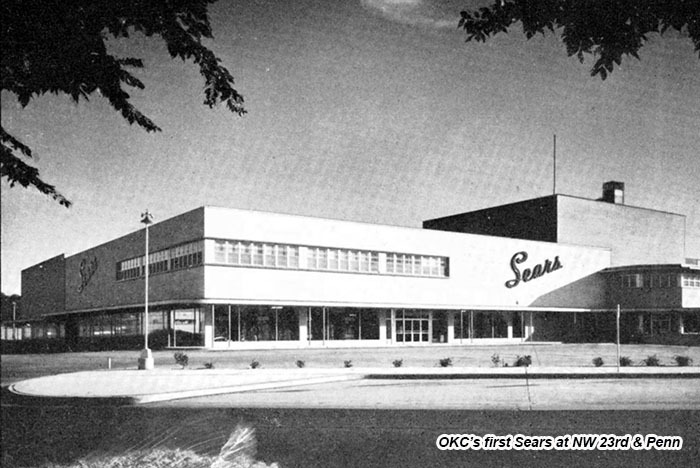 The SW 44th and Western Sears store was built in 1965, includes a Sears Automotive Center and sits on 23.66 acres. To the south of the store, a Walmart Neighborhood Market should not be affected. Directly across SW 44th, Target closed in 2016 as first reported by OKCTalk. 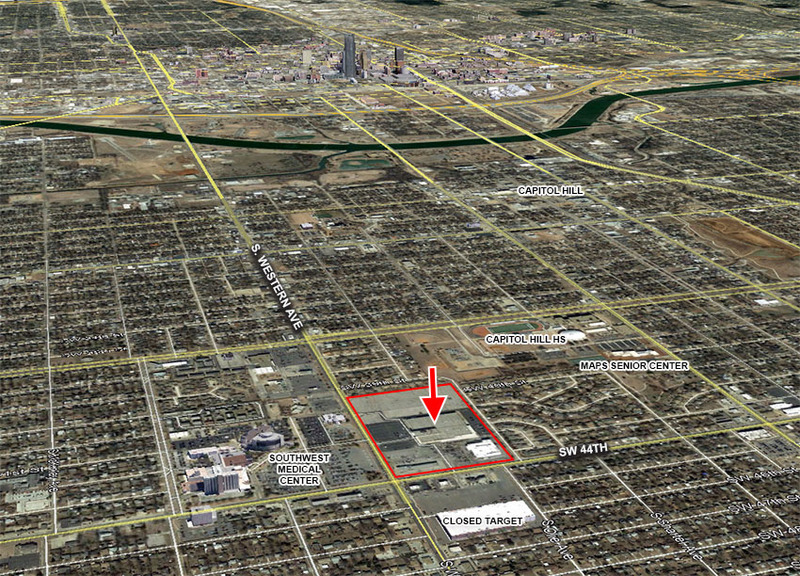 A large amount of that space is being taken by AutoZone as a hub location. At its peak, Sears had stores at NW 23rd and Pennsylvania (closed in 1991), Quail Springs Mall (closed in 2013 and now a Von Maur) and Heritage Park Mall in Midwest City (closed in 2017). While the company still operates several scaled-down Hometown Stores across the state, soon the only two Sears department stores in Oklahoma will be in Sooner Mall in Norman and Woodland Hills Mall in Tulsa. The Norman location is of the smaller variety, at only 62,000 square feet. Sears also announced the South OKC store would close in September.